DO-01019-16 was succesfully added to your cart. PTFE-coated ends provide an inert surface for handling chemicals—prevents loss due to sticking. Coating is FDA compliant for direct food contact applications. 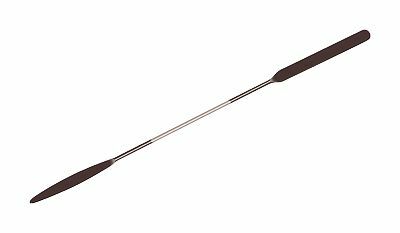 Stainless steel rod with one flat, rounded end; ends measure 5⁄16" (0.8 cm) W x 2" (5.1 cm) L.
No need to clean it with acetone!